306 pages | 8 B/W Illus. National myths are now seriously questioned in a number of societies. In the West, for instance, a number of factors have combined to destabilise the symbolic foundation of nations and collective identities. As a result, the diagnosis of a deep cultural crisis has become commonplace. Indeed, who today has not heard about the erosion of common values or the undermining of social cohesion? But to efficiently address this issue, do we know enough about the nature and role of myths in modern and postmodern societies? 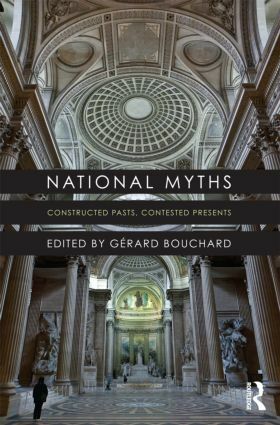 Against this background, National Myths: Constructed Pasts, Contested Presents relies on a sample of nations from around the world and seeks to highlight the functioning of national myths, both as representations that make sense of a collectivity, and as socially grounded tools used in a web of power relations. The collection draws together contributions from international experts to examine the present state of national myths, and their fate in today’s rapidly-changing society. Can – or must – nations do without the sort of overarching symbolic configurations that national myths provide? If so, how to rethink the fabrics and the future of our societies? This book will appeal to students and scholars interested in sociology, national, identity and memory studies, myths, shared beliefs, or collective imaginaries. Gérard Bouchard is a Member of the Royal Society of Canada and the Académie des lettres du Québec. He is Professor at the Université du Québec à Chicoutimi. Trained in sociology and history, he has spent over twenty years conducting empirical, multidisciplinary research in various fields of the social and historical sciences. At the same time, he has headed the BALSAC Project, a computerized population register covering the whole population of Quebec up to the 1960s. He is now doing comparative research on social myths and collective imaginaries, for a Canada Research Chair. He has been awarded a number of prestigious distinctions, including the French Légion d’Honneur.